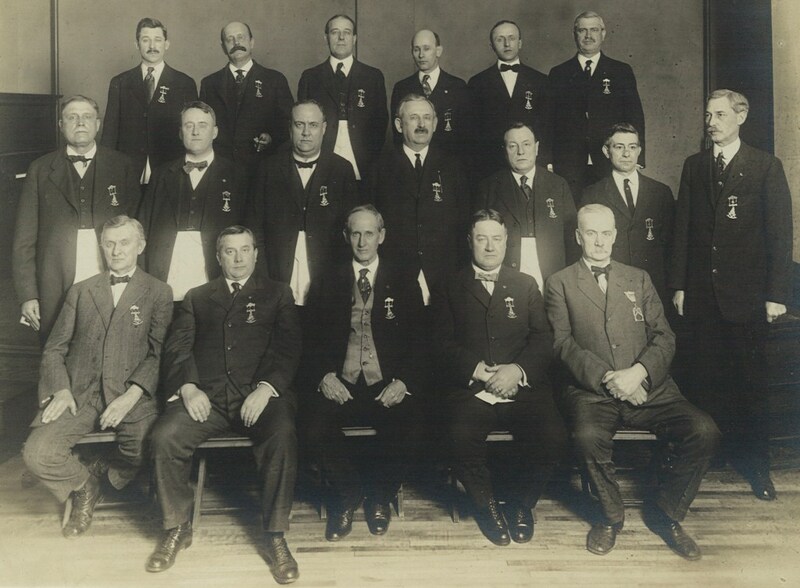 The Officers of York Lodge No. 563 would like to thank you for visiting our website. Please feel free to make time to join us at one of our stated meetings or special events this year. Assistant Secretary David Keiser, P.M.
Lodge Education Officers David Keiser, P.M.
3 Year Trustee William H. Hochstettler III, P.M.
1 Year Trustee Adam B. Michael, P.M. Golf Club Director David Gizzo, W.M. Trestleboard Editor David Keiser, P.M.
Andrew J. White,Jr. P.M. - Grand Master and Grand Secretary of the Grand Lodge of Ohio, F.& A.M.
Homer Trantham, P.M. - Grand High Priest of the Grand Chapter of Ohio, R.A.M. Robert Landry, P.M. - 33° Mason, AASR Valley of Columbus & Grand Commander of the Grand Commandery of Maine, K.T. Russ Davis - Grand Commander of the Grand Commandery of Ohio, K.T. Lawrence M. Looker, P.M. - Grand Commander of the Grand Commandery of Ohio, K.T.